A project wizard to create Revit addon in seconds. 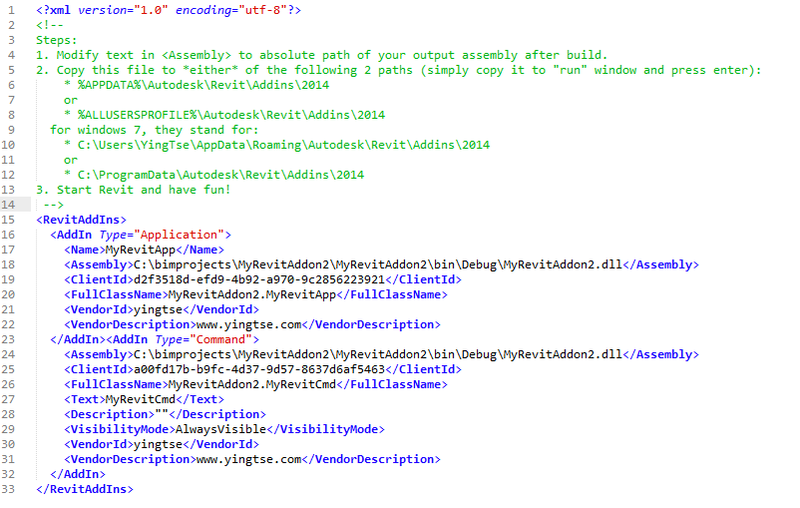 RevitAddonTemplateis a project template, it allows us to create Revit Addon in seconds! 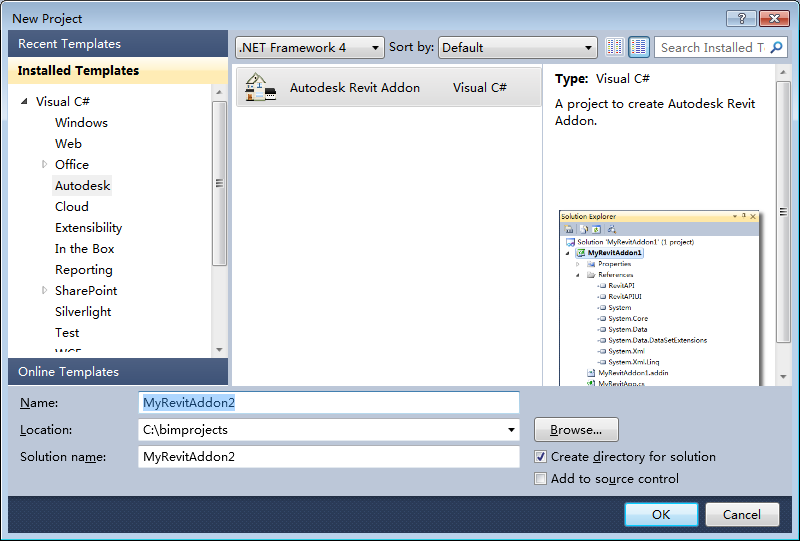 Create a new project from template "Autodesk Revit Addon" under "Visual C#" > Autodesk. Specify Revit program folder and other additional information. Copy the generated .addin file to the propert location (see more detailed instructions in the head of the .addin file), and then restart Revit, that's all! Welcome to give us feedbacks from here or by emailing to hello@yingtse.com.